Diet stumbling blocks… The eternal question for a lot of people, I know. 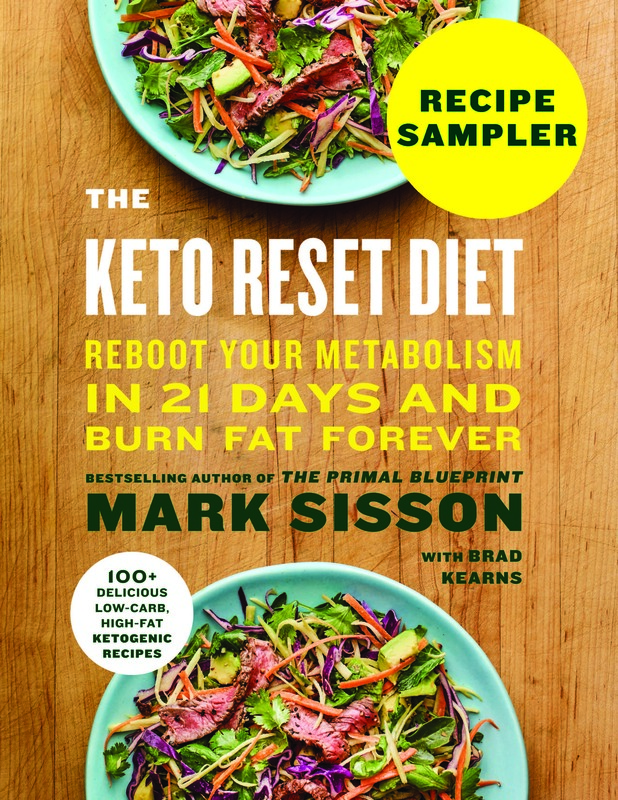 But the lucky thing is this: the Primal Blueprint isn’t another diet. It’s a way of eating for life. Nonetheless, it is (or can be) a major transition for most people. As I’ve said in the past, eating PB-style totally goes against the grain (yeah, yeah – unavoidable pun) in our society. In a culture of bread, bakeries, chips, popcorn, pasta, rice and potatoes at every turn, it takes a real turnabout in thinking as well as eating. Initially, the concept of the PB may feel restrictive to someone who’s had a lifetime’s worth of sandwiches, pizza, fast food, etc. But if you can get past the ingrained (O.K. – last one, I promise) mindset, you’re good to go. It’s why it’s crucial (as we’ve said in the past) that you focus not on what you’re giving up but what you’re taking on – the change you’re welcoming into your diet and lifestyle. Once people stop carrying the torch for the habitual/comfort foods, they see that the PB actually opens up their diet to a world of possibilities (as well as energy, satiety, etc.) that the old foods could never match. Some people might have an issue with cravings for a while. Again, it’s natural that it takes a while to get past the old way of doing things. We’ve talked about cravings before, and for the most part they’re psychological. If you come up against this stumbling block, ask yourself first whether you’ve been having a rough time lately (at work, in your personal life, etc.). So many of us, even if we aren’t really “emotional eaters,” still tend to half-consciously/subconsciously turn to (or think about) certain comfort foods when times get tough. When you recognize that it’s an emotional desire rather than a physical need, you can do something to get at the real issue instead of sabotaging your diet. If it isn’t emotionally-connected and you find yourself truly overrun by cravings, however, you might want to visit FitDay and do some calculations of your daily diet. A lot of people starting out on a low-carb diet don’t include enough fat right away. Oftentimes, it takes some tinkering. I’d be remiss to not include something about the social scenario. For some people, their families’ eating habits can impact their efforts. For others, it’s more the evenings out with friends or the business travel that leaves them foraging for primal fare in the midst of fast food offerings. The ultimate point for going primal, as for every life-changing vision, is this. It’s not about the end result off in the distance. It’s the day-to-day effort of putting one foot in front of the other, making one primal choice at a time. (Check out the primal transition “6 Steps” post.) This kind of change is and will always be about daily commitment no matter how long you’ve been doing it. It’s not a static goal you can achieve, but that’s the beauty of the PB. You can’t “fail” at a lifestyle. A “diet” can seem like something you live up to or you don’t. But you build a life. You evolve through it. Some of it is great, and some of it isn’t pretty. But it’s yours – every day of it. 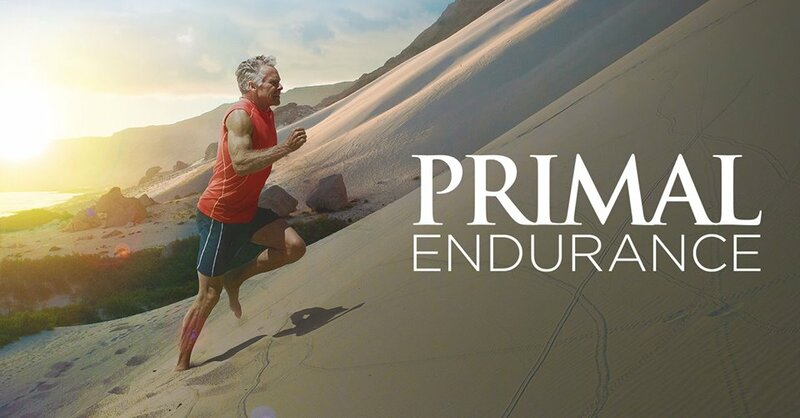 Your primal lifestyle will be no less. Beyond the psychological/social traps, there are indeed a few temporary physical effects to expect in the transition. 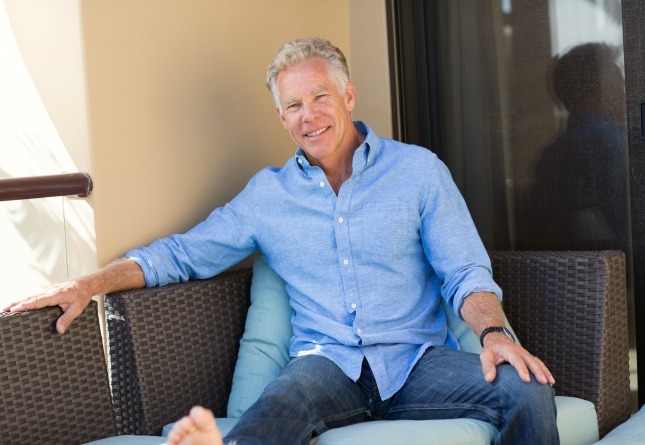 Check out my take on the latest “study” suggesting that low-carb living compromises you cognitively. (Utter hogwash research.) That said, there is an inevitable transition time, as I also say. For most people there’s a little short-term memory haziness and for some a (usually very) modest physical fatigue as their bodies get off the constant carb merry-go-round. Any physical fatigue usually resolves itself within a few days but occasionally can take a couple weeks. Short-term memory fog lifts within a three-week window. Cutting carbs slowly over time (a few weeks) will definitely minimize this effect. Also, if you’re looking for quicker weight loss and want to eventually end in lower carb territory (50-100 grams), consider taking a few weeks to hold steady at moderate levels (100-150 grams) and then gradually step down from there. 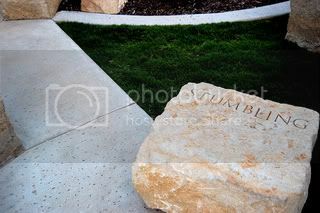 (It might help you avoid the one step forward, two steps backslide phenomenon that plagues a lot of dieters. Stability – slow and steady progress – can be the best approach sometimes. Good luck, and let me know how it goes! Apples? What am I missing here? Advice, anecdotes, perspective to offer up? Thanks, as always, for the great questions and comments. Keep ‘em coming! Congrats to the author of the e-mail and everyone else jumping on the primal challenge! I hope that you discover it to be as easy and wonderful as I do. I anticipated a lot of difficulty and “stumbling blocks” going in… but I never really hit any that weren’t easy to “hop” over. It was far easier than I ever imagined. I like your suggestion of one day at a time. That is really the way people should look at a lot of things. It helps me keep from getting overwhelmed for sure! I find a stumbling block many “Fit/healthy” people have when starting this way of life as oppose to their usual high carb ways they don’t notice any difference in the first week or two. Rather they notice a lack of energy/brain fog as they are in transition. This can trhow people off and make them see paleo/primal as a waste of time. 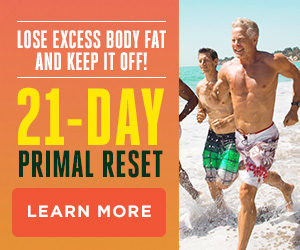 I think its important all people starting primal try and stick to it for at least a month before making a decision on whether the eating plan is working for them and if they need to make any adjustments. I remember when I first went on Atkins how terrible I felt, but the thing is that I saw it as a diet with the intention on having ice cream at the end of every meal afterwards. Now I’ll have it once a month, twice tops. If there is one stumbling block for me it has been calories: I ate too many to lose fat but enough to build lean muscle with an iota of fat loss. A whole avocado and butter will certainly do that to you. Just to let everyone know in 1 month of higher-calorie Primal, I gained 1 lb, BUT my muscles felt harder and my waist size went down 1 inch. I’ve got about 10 lbs to lose, and right now I’ve cut calories, especially from fat while still feeling satisfied with my meals with zero cravings. The first week for me was a total motivator. I dropped 3 pounds in the first 7 days or so and was feeling great. It was the end of the 2nd week/beginning of the 3rd that was difficult, as my weight loss didn’t increase any further and I started getting a little tired and having some cravings. Pushing through that time was somewhat difficult, but really not too bad since there were so many great voices here at MDA. To all the newbies – you can do it! Just started PB, and am finding roadblocks are of the “see food” sort — if I SEE it, I want to EAT it! (Cookies … Sourdough bread … pasta …) But to balance that out, the fat and protein, plus lots of romaine, broccoli, etc., etc. veggies has me feeling both “lighter” and sharper. I forgave myself an occasional slip, got right back at it, AND I took off 5# over Christmas-New Years! If I can do it, YOU can do it! Im in the middle of beginning the PB. Its easier than I anticipated in some aspects (food, eating out), but harder in others (have yet to get to a gym…). Once Im done with this heeefty school assignment Ill have a lot more time to devote. Right now Im just doing what I can! JE Gonzalez: How much fat were/ are you consuming? Im trying to figure out a nice balance for myself and would love some input! The biggest stumbling block for me has been the grocery store. I’m absolutely dumbfounded by the amount of products that contain grains, sugar, or high fructose corn syrup (sometimes all three!). You really do have to shop around the periphery of the store and limit your time in the middle aisles. Read all labels very carefully. This site has been a godsend as it provides great recipes. Getting off processed food hasn’t been as hard as I thought and I don’t really miss bread products all that much. I’m really pleased to have lost two pounds in the first week after having hit a plateau for a month (not bad considering the holidays). My energy levels did drop for a few days but now I’m feeling better than ever. I think we are on to something here! the social scene is definitely one of my biggest strengths/weaknesses. I talk about my “diet” with my friends, which helps keep me accountable. By I do enjoy a few drinks and appetizers with the ladies on a Friday (or Wednesday) night! All this chatter is so motivating! I’ve been grain-free for 7 days now, and have had so many benefits. Had a little bit of a setback this past weekend, but all it did was put it all in perspective. Thanks (as always) for the inspiration! To BEE: Any hints/inspiration about being grain-free for 7 days? That seems to be my stumbling block. I make it two days and stumble on the third day. Grains are so darned convenient, and I don’t want them to be. I took the Primal challenge last year and am soooo glad I did. Completing banishing grains has been the hardest part for me. Inspiration- day three is the hardest. By far. I almost caved a few times, especially because my office is FULL of snacks that are very convenient. I got some dried fruit (no sugar- apples and pears were my fav) and raw nuts and they really helped. They were especially a good first week thing about once a day. Helps with that “I want something crunchy” type of craving (I usually get that in the mid-morning or mid-afternoon). 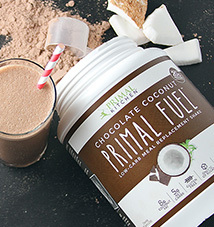 Keep those primal snacks on hand. At ALL times. Nuts (protein) helped a bunch because after I ate them I didn’t feel that hunger anymore- in addition to satiating that crunchy feeling. As I’m super competitive and controlling- it also helped me to think that it was just a 7 day thing, and then I’d have a cheat day. The cheat day both helped and hurt (I wrote about it on my blog http://www.beelifestyle.com) because it made me want those carbs again. The beauty of it was that it also reminded me how much better I felt when I was more strict. Yup… most people don’t seem to realize that these psychological aspects can be overcome. One of the best and most rewarding parts of the dietary changes for me has been my introduction to spices. I tended to eat fairly bland food, but once I started eating more veggies and less sweet stuff I found I needed a little something extra. Experiment with spices! That doesn’t have to mean “spicy” if that isn’t your thing. So many spices have real health benefits and they take the blandness out of eating veggies as you transition to real food. Once you adjust I bet you will keep using the spices since they are simply awesome! Check out some of Marks older posts to learn more…you won’t be sorry! I think Mark’s advice of taking it step by step, one choice at a time, is the totally spot on. Along those lines, I would like to share a few attitudes that have really helped me. I have found it extremely beneficial to think of a Primal life as a direction to move in, rather than a goal to reach. If one buckles down and takes satisfaction from simply making an honest effort in the primal direction everyday, that is all one needs. You may not always make the ‘optimal’ choices, you make backslide, etc. But if one avoids making excuses, accepts the imperfections, and takes aim again, it will really bring a positive force to your life. It distills the essence so nicely. Just take aim in each of those directions whenever a choice presents itself. Observe the results, use that feedback to perhaps make an even better effort the next time. It really can get no simpler. 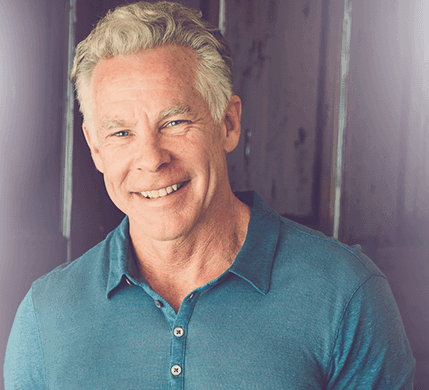 I just have to give you props, Mark, on the work you and your team put into this site to spread the virtues of the primal blueprint. I’ve been an endurance athlete for most of my life, and for at least a decade suffered from frequent upper respiratory infections as well as endocrine issues and gradual weight gain. Within the last two years, I decreased my training hours (I just cycle, trail run, and nordic ski for fun now), dramatically reduced refined starch consumption, and increased the good stuff. For the new year, I decided I would also cut out oat flour and most dairy (I do eat some cream once in a while). It’s amazing how I feel after a week! I was pretty groggy and grumpy for about three days, and now I’m really settling in to the new routine. I’m also noticing less water retention and more muscle definition all around. Not to mention the fact that my mind seems sharper and more focused as well. To new readers, if you’re on the fence about going primal, jump in! It is 100% worth it! Oh yeah- Rodney good point. I forgot hot sauce and salsa! They’ve saved me many times. I’m loving experimenting with new tastes as my buds are resetting themselves. And I love some salsa on eggs. My next experiment is making my own salsa! I started by just cutting out the grains. All of them. Bread, Pasta, Cereal. Wheat, Rice, Corn, Oats. I got immediate results. Then I plateaued out. I realized that I was eating way too many berries, which had become a substitute for sweets. I cut back on the fruit, ate more fish, and started losing weight again. Two and half months and 25 lbs later, I’m now at my target weight and feel great. I think it would be helpful to have a grocery list of sorts for the primal lifestyle. Great idea, Tracey. In fact, we have a Primal shopping list in the works. If plans don’t change it will be part of a free e-book to come out in a couple months. Be on the lookout! My setback/ stumbling block are get togethers and parties.. its very hard when you are with friends and theyre wondering why youre not drinking or taking a bite out of that tempting white chocolate brownie, but in the end the reward is much worth it when you feel healthy, never bloated and feeling good about what you see in the mirror. its definitely a lifestyle, and im not going to lie, i did it kicking and screaming but it definitely got easier along the way. in the end, its my health that im going to choose. Tara: I was consuming anywhere between 150-180 grams of fat aswell as 120-150 grams of carbs ( alot of fiber). Right now I am dropping with about 100 grams of fat and about 100 of carbs. Mark: I was having lunch with a sister-in-law. She started to suffer a severe nervous system disorder that had accumulated over the years. She was seemingly healthy, but I immediately gave her the links to your site to see if it would help out. Plus, I showed her how Multiple Sclerosis can be treated with a Paleo diet. Two months later she is looking healthier than ever and the symptoms are 80% gone. Ah, salsa! Homemade is BEST! You’ll never eat a canned/bottled salsa again! For best flavor, use 2-3 different kinds of tomatoes (beefsteak, yellow, heirloom, cherry, sun golds …) Throw a handful in the food processor, add 2-3 cloves garlic (more if you’re a fiend), and a tomatillo (Mexican “Green tomato”) if you can find it. Add in a good TBSP olive oil, juice of a lime, a a quarter to a whole finely chopped hot chili (habanero is good, or Thai), chopped green scaliions or chives, a bit of parsley, oregano and a dash of tabasco, salt to taste (mix first, let it sit, then adjust the salt). You can make it VERY HOT by more chili or tabasco, less hot (even mild) by reducing these components. It’s really killer. JE Gonzalez- Thanks! Thats about where I am, well about 80-100g carbs but slightly less fat. I started Jan 1, so we’ll see what happens. Ive always eaten very healthy so I dont think this is as big a change for me as it is for most people. No sugar in the tea, no sprouted grain toast in the morning. Smaller smoothies with no honey. The thing for me is *special occasions*! Dinner parties , bdays… bah! Its all about being adaptable! One BIG perk for me so far: everything tastes sweeter! Since Ive cut out sugar things that were blah before have lots mor flavor and things are tasting sweeter to me, i.e. milk. Milk has a whole different taste now, and its for the better. I only partake of milk sometimes though. Same pinciple for saltiness. Personal experience with a low-carb / high-fat diet is that cravings are virtually eliminated from the get-go. I include dairy products, and I am perhaps a bit lower on the carbs than Mark’s reccommendations, but very to similar to the PB overall. What remains are phantom cravings, that are more intellectual in nature. The old, primal (pun intended) cravings, that would practically pull you to the store to get Ben and Jerry’s have gone away. You might still *know* that Ben and Jerry’s would be delicious, but you can’t *feel* it. And hence, they are easy to ignore. 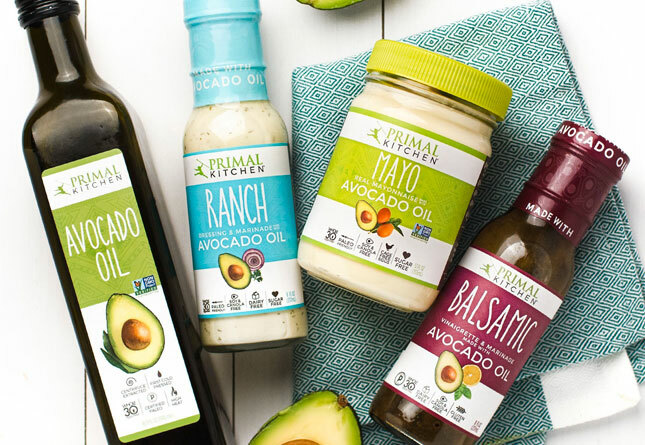 Has anyone out there been Primal and Pregnant? I’ve read a lot of posts, Mark, but I don’t think I have come across anything about pregnancy. I know I’ll probably get the “check with your doctor” mumbo jumbo, but I KNOW my doctor will say that about 60-70% of my intake should be from grains…Help! Hey Mark, when are you going to bring back the forum? I’m 8 months pregnant now and have been trying to stay as primal as my food aversions allow through the pregnancy. Although pregnancy might not be the best time to push yourself into truly low carb territory (less than 60 grams) particularly if you’re not used to it, moderate carb intake like Mark talks about (150 grams) seems not only reasonable but very healthy. Your doctor should know that a pregnant woman doesn’t need more carbs but she does need more protein and healthy fats (esp. omega-3s). Redistributing the diet away from carbs will allow you to eat more of the necessary stuff, so to speak. Actually, even for those trying to get pregnant, the true “fertility diet,” is low carb, high protein and high/moderate fat. (Lot of studies on that recently.) The human body knows what conditions are optimal for pregnancy and raising a young child. Enhanced fertility comes with a time of “plenty” as opposed to famine (lower fertility). Good luck–with the diet and the pregnancy! If you have any more questions please feel free to drop me and all the readers a line in the comment boards. Cheers! The new site (with a forum) is coming out as soon as the book comes out. Hopefully within a couple months. I believe you get accustomed to what you eat. For someone just starting to eat healthy soon notice they feel better, look better, and never want to go back to that unhealthy way of eating. I’ve talked to some people who has made eating changes and all have said the same thing. Eating healthy foods gets easier and easier as you see and feel results. You really do get accustomed to WHAT you eat. This is a great post with great comments. After almost a year of PB for me, almost all of the comments ring true for me, but I believe Apurva nailed it. This really is a direction to move in rather than a goal as Apurva said. And as Richard Dreyfus said to Bill Murray in “What About Bob” – “baby steps”. Everyone’s path to greater health and energy is different, but the journey is infinitely rewarding. Learn all you can, but jump in and try things – experiment and listen to your body. And be prepared for the naysayers who comment on your lifestyle changes – they either mean well or are actually jealous of you. Right now I am learning not to preach to family and friends! As Mark said – “one foot after the other” and never stop! It gets easier and more rewarding as you go. I have never enjoyed eating and food as much as I do now, while feeling and looking fitter and stronger. People who haven’t seen me for a year more expect that I spend half my time at the gym – blush – none is the reality. Grok can certainly go to the gym, but we human animals were designed for health way before gyms and running marathons. Good luck! Thanks for the info, Jen and Mark! As someone who has lost 10 kg this way I highly recommend accepting that it will still be difficult but at least it is POSSIBLE. its best to be as strict as you can be and that way when you do slip the diet is very very forgiving. Health is possible when you apply yourself to it. I’ve lost 70 pounds so far, I am starting october 1st a full paleo challenge combined with an exercise program, I even create and post paleo recipes with photos. This for me and my visitors at http://guythehealthypaleoguy.wordpress.com/ to make the Paleo lifestyle more and more known. Come and visit and help spread the Paleo lifestyle! It’s fun!!!! Hi Apple, I like that theory. I was thinking the same thing. Last week I decided to go 100% primal and simply had lamb cutlets fried in butter for a late breakfast. By 2pm I was not going well at all. All I can say is that I felt angry, frustrated and violent. All I could think of was that it could have been candida die off. I searched the web and could not find anything on this issue. I’m not sure what you ment in the end of your comment which says “which may also be the cause of many diseases” are you refering to the die off or the primal diet? Anyway, now I’m back to square 1 and contemplating my restart in going Primal, I’m just a bit scared of this happening again because I could not handle it. And yes I am a sugar/ junk food addict. And I totally believe that going Primal is the answer to all my health issues, eg bloating, poor digestion and joint issues. Apple Al, or anyone else. Got any ideas? Mark, have you ever heard of such an extreme reaction such as this before?? I think a bit more attention on emotional eating is due. Many people are not aware that they need to deal with their underlying psychological reasons for eating first, so they end up sabotaging themselves and think that the diet/lifestyle choice was wrong. I’ve just completed a program called shrinkyourself.com which has given me insights into and tools for handling my emotional eating. When those cravings for comfort foods come on, I’m ready for them!